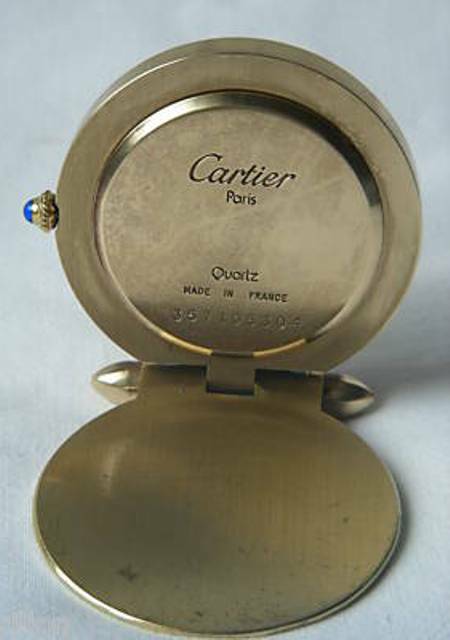 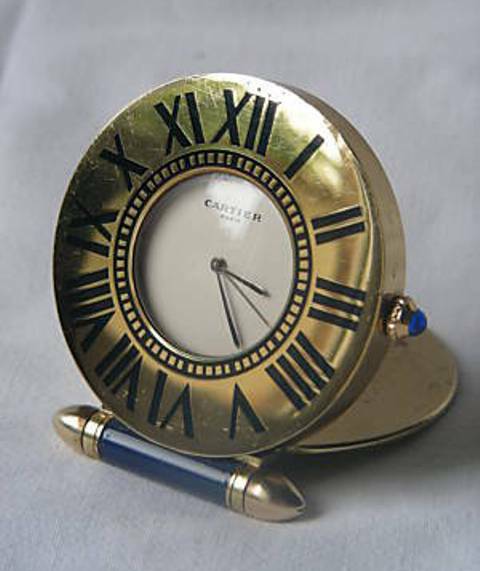 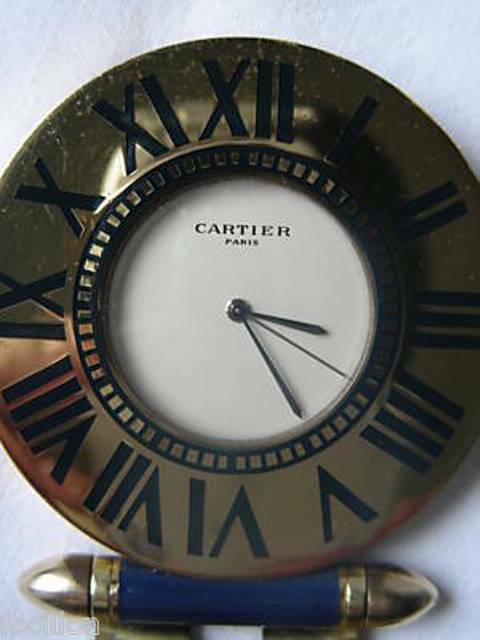 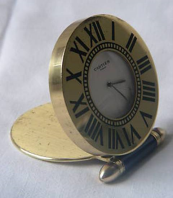 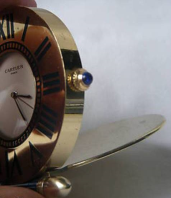 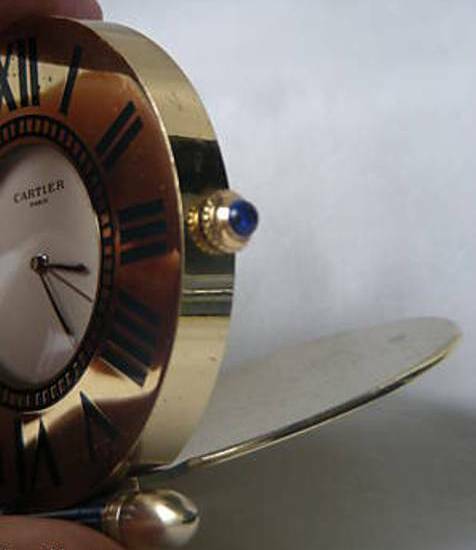 Stunning Ladies or Gentleman's Folding Gold Plated Travelling Alarm Clock by famous jeweller and luxury goods maker Cartier Paris. 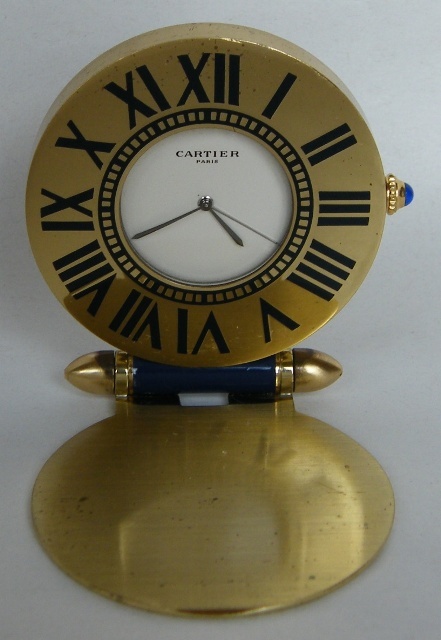 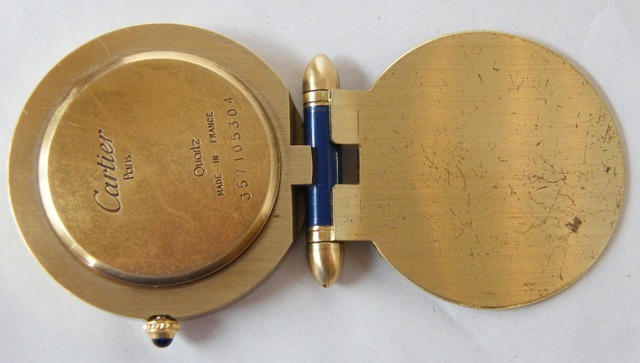 The attractive circular white dial with Roman Numerals in dark blue enamel on the outer bezel. Last half of Twentieth Century.